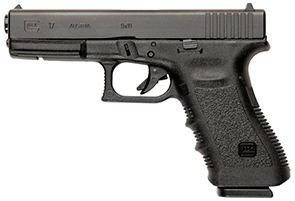 The Glock 17 pistol (with a 17-round magazine) was designed by Austrian company Glock. It was the first attempt of the company to produce a pistol which turned out extremely successful. The Glock 17, a reliable and easy-to-use short-barreled semi-automatic pistol, was adopted by the Austrian military under the designation of P80. 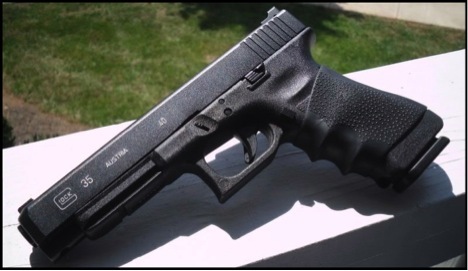 Later the Glock 17 and its modifications have taken place among the most popular pistols for police and self-defense. 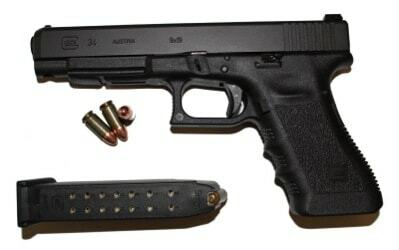 The Glock 34 is a modification of the basic model Glock 17, and is a somewhat shortened version of the Glock 17L pistol. The Glock 34 was created mainly for the consumer market. It is a weapon for regular sports firing, training and practical shooting competitions. Besides, it is used by various US police departments. Glock 34 Gen.4 is the fourth generation of the Glock 34 model. We offer it in the enclosure used by special units which is manufactured by the Israeli company Fab Defence. In 1998 together with the sports pistol Glock 34 pistol chambered for 9 × 19 mm Parabellum the company Glock released a similar model – the Glock 35 which is chambered for .40 S & W. In contrast to the standard model (the Glock 17) the Glock 35 has the same modifications as the Glock 34. The main difference is that it is chambered for .40 S&W. The developers also lengthened the slide adding a slit on its top front part and making its front edges beveled. The barrel was elongated too. The last round stopper and the magazine catch of the Glock 35 became bigger. The modified model requires less force to pull the trigger and usually is equipped with an adjustable sighting system instead of a regular one. The CZ 75 is a pistol developed in Czechoslovakia in 1975. It was designed by brothers Josef and Frantisek Koucky city Ugric Brod. In 1977 they launched the full-scale production of the pistol. It is one of the most popular guns among the sportsmen of the Practical Shooting Federation of Russia (FPSR). In the Czech Republic nowadays it is mostly used by the police. One of the best known examples of modern small arms is the Beretta 92 pistol and its numerous modifications manufactured by Italian company Fabbrica D`armi Pietro Beretta. The famous semi-automatic handgun was first produces in 1976. It combines the functions of civil, service and police weapons. 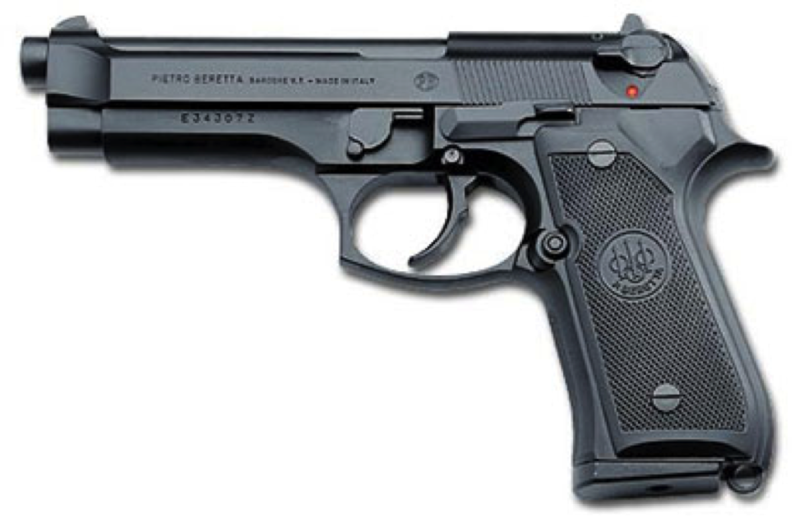 Until now the variations of Beretta 92 pistol are the guns of choice for the US Army. The Brazilian gunmaker Taurus produces a modified version of the Beretta 92 pistols equipped with a rail for an under-barrel light and a more handy safety lock. The Taurus PT 1911 is a living classic. 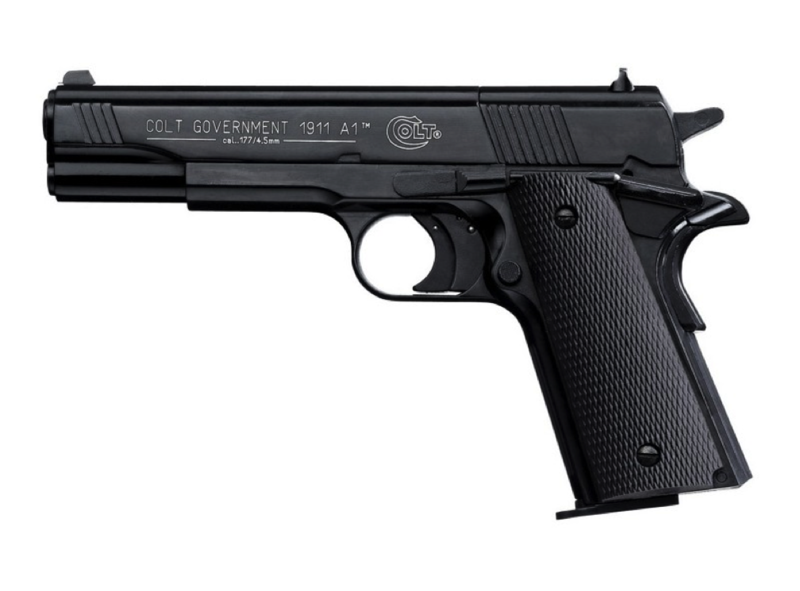 This pistol was designed the early twentieth century by the great gunmaker John Browning at the commission of Colt’s Manufacturing Company/ Its modern version PT 1911 is chambered for 9mm, has a massive heavy barrel the outer diameter of which is similar to pistols chambered for .45 ACP. Being suitable for a more powerful .45 ACP cartridge, the pistol loaded with a less powerful 9 mm cartridge provides moderate gun recoil and very long service life. In 2005 the Brazilian gunmaker Taurus introduced and started to produce a new full-size pistol PT 1911 (Pistola Taurus 1911) chambered for .45 ACP (11.43h23 mm). Taurus PT 1911 is nothing but a clone of the famous American Colt M1911 pistol with amendments that make the handling of the gun easier and safer and increase its shooting characteristics. Tanfoglio Witness 1911 is a semi-automatic pistol with a single action trigger and firing mechanism made on the basis of the classic model of the Colt 1911 A1. The pistol has a grip safety mechanism that unlocks the trigger only when the handle is completely and tightly grasped by hand. The handle is covered with wooden grip plates. The magazine is closed by a plastic heel and holds 8 cartridges. 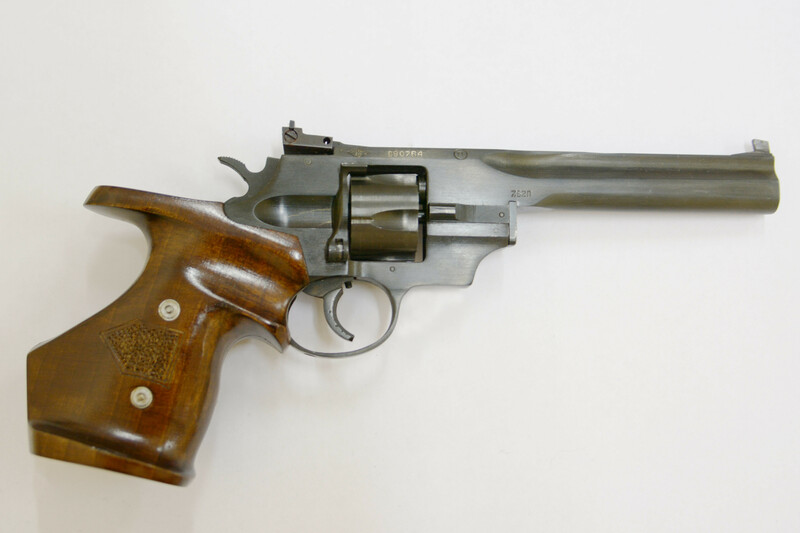 The Alfa Para 9241 revolver is produced by the Czech company Alfa-Proj. It is designed for sport shooting. 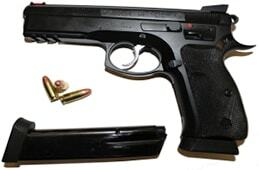 The model is equipped with a double action trigger and firing system. The hammer of the revolver is place externally. The sighting system of Alfa Para 9241 consists of a steel front sight with a red marker and an adjustable rear sight. The latter can be adjusted both horizontally and vertically. The Sig Sauer Mosquito pistol chambered for .22LR is made of polymeric materials and is only 10% smaller than the flagman model P226. Sig Sauer Mosquito features a durable, lightweight and wear-resistant polymer frame. The slide is equipped with an adjustable sight located on the slide frame made of shatterproof polymer. The handle is designed to have an improved ergonomic grip. Mosquito is characterized by high accuracy that is typical for pistols manufactured by Sig Sauer. 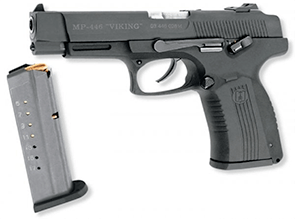 The MR-446 Viking pistol was developed in the late nineties at the Izhevsk Mechanical Factory in Russia. It was designed on the basis of The MP-443 Grach (or Yarigin pistol) that in 2003 was included in the inventory of the Russian Armed Forces and the Interior Ministry. Short-barreled MR-446 Viking was created as a sports weapon for export. It differs from Grach mainly by frame material (resin instead of steel), sights, and the shape of some parts. 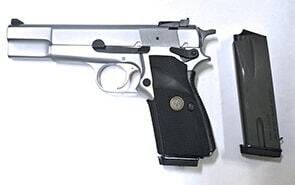 The sporting gun S-TT is no different from its combat prototype. It is chambered for the original 7,62х25 cartridge. The TT is a semi-automatic pistol that uses a short recoil tilting-barrel system either on the swinging link as it was initially designed by John Browning. 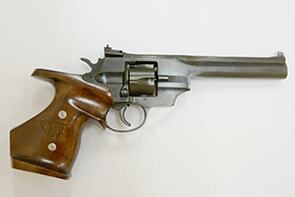 Its single action trigger and firing mechanism is hammer-based which means it allows firing only after pre-cocking the hammer. The model has no safety catch. The sighting system of the TT pistol is exterior and not adjustable. 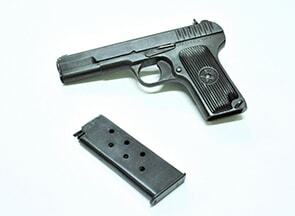 In the USSR the production of TT pistols continued until 1953. In the 60s the Soviet Army completely abandoned this gun in favor of the Makarov pistol. The police followed suit in the 70s. 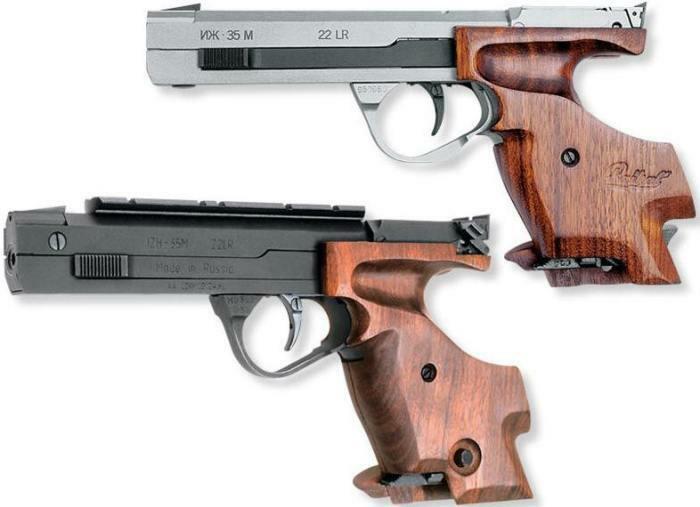 We offer the S-TT pistol with original stamps and markings. The Margolin target shooting pistol is a .22 LR pistol primarily used for competitive target shooting. It was designed by Mikhail Margolin in 1948 at the Izhevsk Mechanical Factory in Russia and is still considered one of the best sport target pistons for beginners in the world. 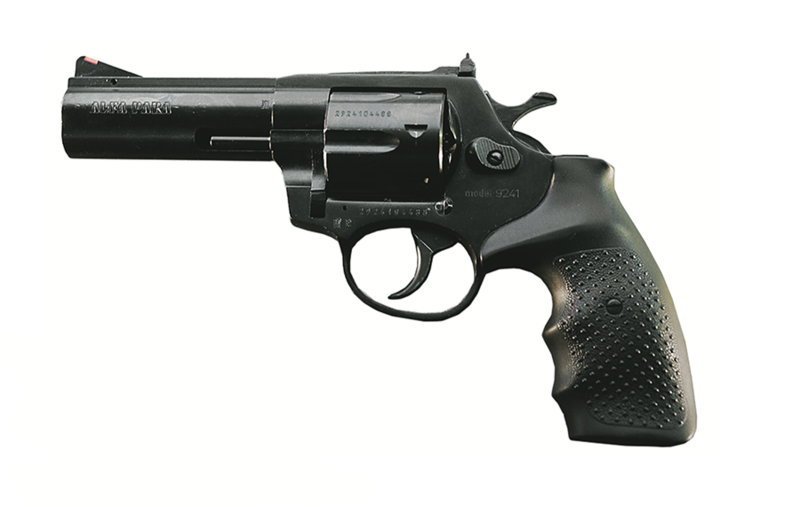 The parameters of this short-barreled gun correspond to the ones of a standard-class competition pistol that meets the requirements of the International Shooting Union. 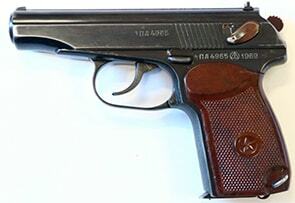 The TOZ-35M is a Soviet single shot target pistol designed in 1959-1961, first produced in 1962 and modified in 1975. It is chambered for 5.6 mm. Its accuracy of fire (average diameter of dispersion) is 25 mm, which is close to that of sporting rifles. The weapon is provided with an ejector mechanism and a set trigger that is used to adjust the required pull weight (the range of adjustment is 5 to 30 grams). The position of a trigger can be changed according to the length of fingers. 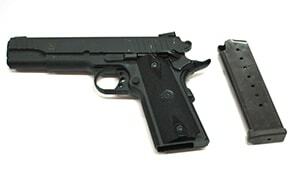 The unique feature of such pistols is that its trigger can rotate around the vertical axis depending on the desired direction of pressure. IZH-35 is a rapid fire sport pistol first developed at the Izhevsk Mechanical Factory in 1973. Pistols IZH-35 and IZH-35M for a long time were a weapon of choice for the Soviet National sport shooting team. These guns were used to win 12 Olympic gold medals. In 1998-2000 the German arms manufacturer Walther modified IZH-35 to produce a budget beginner standard gun under the label of KSP200. Basically it is like IZH-35 but with a different handle and coated metal parts. 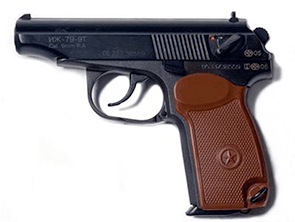 The 9х18 mm S-PM model is a sport variation of the Makarov pistol (PM) developed by the Soviet gunmaker Nikolai Makarov in 1948 and used as a personal weapon in the Soviet and post-Soviet armed forces and law enforcement. The PM was the first light weapon to appear in space as it featured in a personal astronaut kit aboard the «Vostok» spaceship. The Makarov pistol is still used by the armed and security forces in a number of countries in the world due to its simplicity and reliability. In Russia it is being gradually replaced the Yarygin pistol or the PMM though the PM remains in service too. It is known to be highly accurate for a compact weapon. 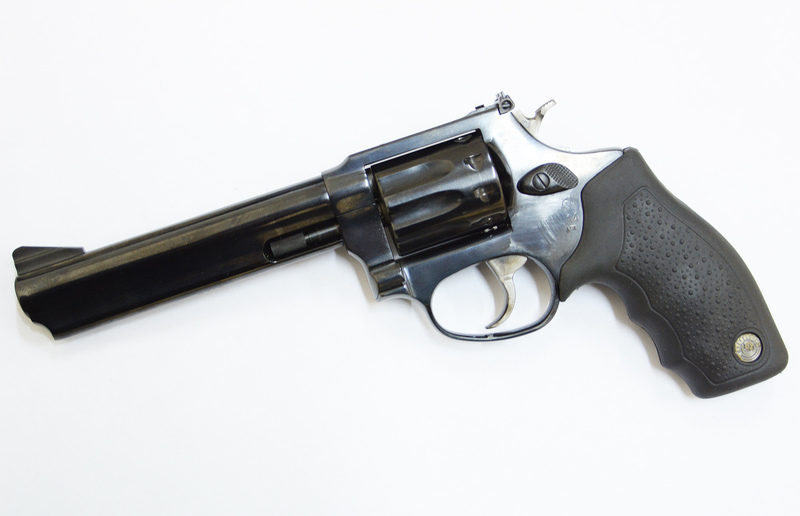 The Taurus 94 is a classic revolver with a double action trigger and firing mechanism. It is an excellent weapon for training and competitions that that allows conducting rapid fire both at still and moving targets. As in is chambered for the rimfire 22lr ammo, shooting the Taurus 94 is comfortable and affordable. Its lightweight barrel 4 inches long shifts the center of gravity closer to the cylinder which makes it easier to quickly move the gun from target to target reserving its benefits as a targeted weapon. 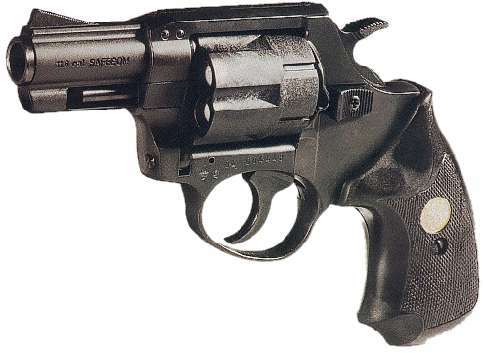 The Taurus 94 has a double action trigger and a sight that can be adjusted both horizontally and vertically. For the first shot to be fired, the hammer is cocked manually. The trigger here requires a short and mild pull. After that the hammer is self-cocking, and the trigger is pulled smoothly and without steps. The 7.62 mm TOZ-49M sport revolver is designed for target shooting at fixed targets, both round and silhouette ones. It is ideal for shooting rooms with targets situated at a distance of 25 m. The revolver is suitable for all types of macroclimate areas, except for regions with a humid tropical climate. The MR-79-9 TM Makarych is a non-lethal pistol with the ability to fire ammunition with rubber bullets. There are several variations of the Makarych all based on the Soviet Makarov pistol. As their combat prototype is well-known in post-Soviet countries, the traumatic models are popular and consistently in high demand as civilian self-defense weapons. The main advantage of the traumatic pistols is that their design and configuration is similar to the combat PM. It makes the Makarych pistols one of the most reliable traumatic weapons that are easy to handle especially for those who had experience with the PM. They are also affordable due to relatively low price of spare parts and accessories. 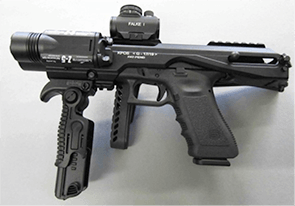 The MR-79-9 TM is a traumatic gun chambered for 9mm ammo. It is available on sale since September 2007. 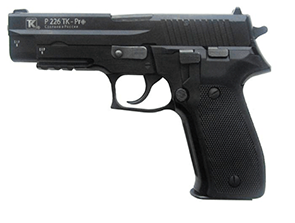 The P226 TK-Pro pistol was released in 2015 by the Russian company Techkrim from Izhevsk. Its structure is similar to the Sig-Sauer P226 pistol that has been in constant demand since 1983 and is adopter the US Army and the armed forces of New Zealand, Egypt and Israel. The work of the P226 TK-Pro is based on the short recoil principle. It uses the double action hammer-based trigger and firing mechanism. The trigger is two-stage. The gun is equipped with the Weaver rail that makes it possible to connect a laser aiming device or a tactical flashlight. 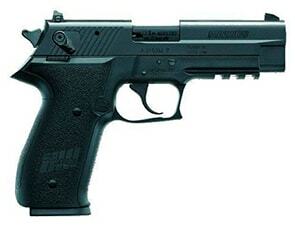 The P226 TK-Pro has a double-column magazine that holds 15 cartridges. The Browning Hi-Power (HP) is a single-action, semi-automatic handgun available in 9mm and .40 S&W calibers. It is based on a design by American firearms inventor John Browning, and completed by Belgian small arms designer Dieudonne Saive. The pistol was created for the French army, but was never put into service there. However, its various modifications were used by many countries during the Second World War and later. 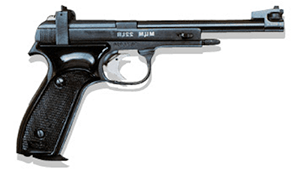 The High-Power name alludes to the 13-round magazine capacity, which in 1935 was almost twice times the capacity of the nearest competitors — Luger P08 (8 rounds) and Mauser 1910 (9 rounds). It is still most often called simply the «Hi Power», even in Belgium. 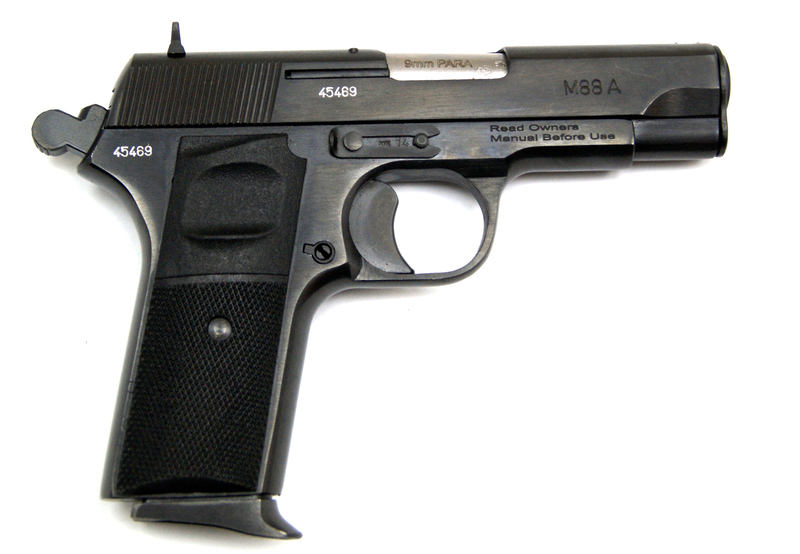 Genuine Browning Hi-Power P-35s are still manufactured by FN Herstal of Belgium and Portugal, and under license by Fabricaciones Militares (FM) of Argentina. Since its creation in 1935 he gun, worldwide known as the Browning High Power, was adopted by the armies of some 55 countries. It remains is one of the most popular and reliable combat pistols in the world alongside with the other creation of john browning, Colt M1911. 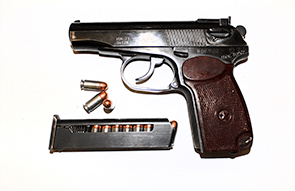 The 9 mm Baikal-442 is an upgrade of the Makarov pistol (the PMM). It is an export sport version chambered for 9 × 18mm. In September 2015 it was certified for sale in Russia as a sports and training gun. 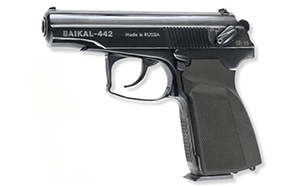 The Baikal-442 was developed in the early 1990s as part of the process of development of a new Grach pistol. 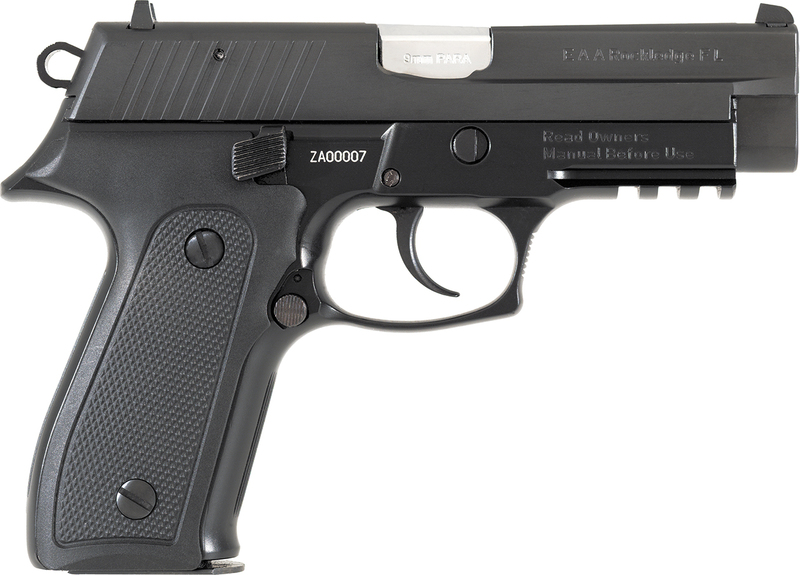 It took part in the competition for a new army pistol under the designation Grach-3. 70% of the parts of the modified Makarov pistol are interchangeable with the original PM. The upgrade has a reinforced frame and a heavier slide. The cartridge chamber of the PMM is equipped with spiral grooves which allow for the usage of high-impulse 9 × 18mm cartridges. As a result maximum pressure in the barrel increased by 15% and the recoil became slightly stronger. The PMM has a double-column magazine that becomes single-column at its mouth. This scheme made it possible to do without changing the design of the frame and the slide. The magazine floor plate slightly extends forward supporting the palm and accelerating reloading. The handle shape became more comfortable which improved aiming and point shooting with the right hand. At the back end of the handle there is checkering for a more secure hold. Better holding and grasping may significantly improve the accuracy of shooting. The EZ-9 is an analogue of the legendary R226 pistol. It is a semi-automatic weapon that functions on the principle of the short recoil of the barrel. The EZ-9 is adopted into service by the police, military and special units of the Serbian republic. The pistol has a symmetric control system — it can be operated with both hands. The sighting system with white dots facilitates aiming in conditions of limited visibility. Optical and electronic devices can be mounted on the barrel. The barrel is made of high quality alloy steel. The frame is made of aluminum alloy. The handle is made of impact-resistant polymer. The pistol features standard blued finish of all parts except for aluminum details that receive phosphate coating before being painted over. The M88 is a descendant of the legendary TT pistol which preserved its reliability and accuracy. In contrast to its prototype the M88 has a safety bolt that is similar to the one use in the PM. The gun operates on the principle of the short recoil of the barrel. Most of its parts and mechanisms are compatible with the TT. The M88 is in service with the police and Special Forces. It is also an excellent weapon for self-defense. The M88 is easy to use and maintain, suitable for concealed carry. The metal parts of the gun are made of high quality alloy steel. The handle is made of polymer.